Manar Al-Dina is very professional and effective coach and trainer in jordan who started a company called vibrant thinking which handles all your executive and personal coaching and motivational leadership training needs. we offer personal development, leadership training, motivational coaching, personal and life coaching in jordan and the middle east region including dubai, uae, qatar, bahrain, lebanon, iraq and saudi arabia (ksa). "Whatever you believe about yourself on the inside is what you will manifest on the outside"
We would love to hear from you, to share your interests, passion, and assist you in making every vision of yours come to life. Feel free to Contact Us through the Email Address provided below for any questions or to inquire about our programs. 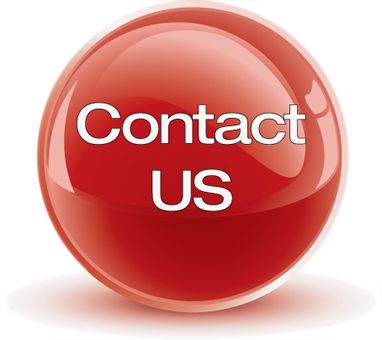 OR you can simply fill-in the Contact Form below and we will get back to you within 72 hours. Our goal is to find out what you are interested in to provide you with the best solution in a timely fashion. 2k Bits takes you on a journey of self-discovery and self-awareness to better understand why events in your life are happening the way they are and also explain why you feel the way you feel about certain topics or behave a certain way in an event, to better equip you to introduce changes & LIVE THE LIFE YOU WANT & DREAM OF. This program will teach you how to adapt yourself to become fear-less when FEAR comes along while we experience an unknown territory, try something new or as we grow and evolve throughout our lifetime. It will teach you ways to eliminate the amount of fear in your life and become FEARLESS. A Business Coach helps an individual improve Performance, Productivity, & Efficiency as well as find Solutions to problems by providing immediate and timely support, feedback and corporate advice to the client through personal 1:1 Coaching Sessions or Group & Team Coaching Sessions. As a Group Coach I work with the business to develop a clear set of coaching objectives that will deliver in favor of the business's needs through the development of High Performing, Cross Functional Leadership, Strategic Planning Sessions, Communication, Management and Coaching Skills Development. A Career Coach helps individuals identify what they want and need from their career, then make decisions and take the needed actions to accomplish their career objectives in balance with the other parts of their lives. It helps individuals keep a good balance between their work and personal life. It's about the value I can give my audience. It is what they will be walking away with after they hear me speak. It is all about what their very own 2K bits is going to look like, and what value they can spread to others. It is my Boomerang effect. This is the foundation of communication between different diverse cultural groups and it involves the ability of standing back from ourselves and becoming aware of our cultural values, beliefs and perceptions as well as those of others and taking them into consideration & adapt them into our lifestyle behavior. Citizen of the world! Being the Host of your life is different from being a guest. Acting like you are the creator of your life moments and happiness, puts you in control! Isn't that what we all want? To understand the reason for everything.Wanna be a leader of your life or a manager? I can help you see, find and be the difference.